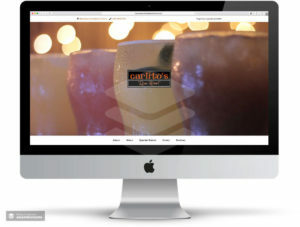 When Carlito’s Restaurant opened they needed an online presence to raise local awareness and bring customers into the restaurant. 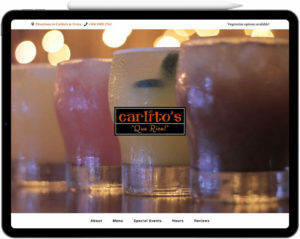 We designed and developed the Carlito’s Restaurant and Bar website, created social media profiles, and ran a Facebook Ads campaign to help garner attention for the establishment. The website was designed to provide would-be patrons information about their food and drink menu, along with basic restaurant information (e.g. hours of operation, special events). 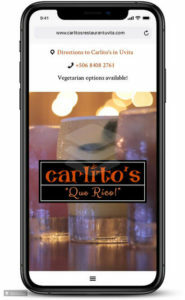 Carlito’s has been consistently growing to the point where Zevi Media now manages their social media profiles and maintains their website on a full-time basis so the restaurant owner can focus on running their business.